I think you will love this because you are the best. Keep following your dreams you want to be a dog woof ya know. 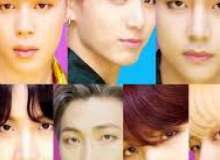 I am a BIG #1 FAN I LOVE BTS SO MUCH I THINK YOU WILL too. 1. Who spilled the milk? BRUH HOW AM I SUPPOSED TO KNOW!! 2. Who is the most handsome person? 3. Who do you think was a ballerina before in the group? 4. Who in the group loves sprite? 6. How do you think your ship in BTS is doing?